As the Town of Crested Butte faces lease negotiations for town-owned buildings rented to non-profit organizations and some businesses, potential policy changes could increase historically low rents to help offset climbing maintenance costs, according to town manager Susan Parker. The Town currently does not have a policy that guides lease agreements for Town-owned buildings, but Parker says she hopes to present one to the Town Council after January 1. Parker says the policy is needed because lease agreements have been made haphazardly in the past. “(The Town) wants to find a fair and equitable way to determine what should be charged,” Parker says, referring to the rent charged for space in Town buildings, noting building maintenance costs have increased significantly while revenues have decreased. Parker says budget constraints are forcing the Town to review its policies and look for ways to increase revenues and allow it to be more sustainable. Maintenance of the buildings generally falls on the town, according to Parker. It is estimated the Depot building alone has $300,000 to $500,000 in maintenance needs. The Town Council increased its building maintenance fund by $25,000 to $100,000 to cover increasing costs. Parker says the building’s tenants may need to share in the responsibility of maintaining the buildings. “Revenues (for maintenance) should come from the people that use the building,” Parker says. The town rents space to various nonprofits and for-profit businesses. The Crested Butte Center for the Arts, Crested Butte Search and Rescue and the Gunnison County Public Library each pay $1 annually for rent, while the Blue Spruce Co-op pays $20 a month for space in the Depot. Those nonprofits that pay between $100 and $500 annually for rent include the Crested Butte Mountain Theatre, Paragon Gallery and the Crested Butte School of Dance. The High Country Citizens’ Alliance pays $500 per month for space in the Depot, while the West Elk Soo Bahk Do pays $125 per month for office space on Third Street. The Reel Fest also rents space on Third Street for $291 per month. 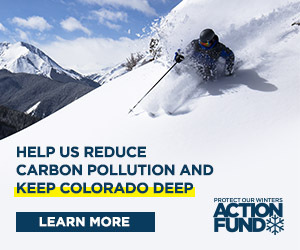 Those who pay an annual rent of $500 to $1500 include KBUT radio, the Rocky Mountain Biological Laboratory, the Crested Butte Music Festival, and the Crested Butte Land Trust. The Crested Butte Fire Protection District pays $600 per month for space, while Mountain Express pays over $17,000 annually for the bus barn building. Several organizations have special arrangements with the Town and are not charged rent, including the Crested Butte Society, the Crested Butte Nordic Center, the Crested Butte Wildflower Festival and Stepping Stones. For-profit renters include the East River Builders, N2 Software and Thin Air Software. Parker says current rent rates do not cover the costs of operating and maintaining the buildings. Parker says lease terms could increase but has not ascertained which organizations will be affected. “I don’t know if lease rates will increase but I do know some (organizations) are paying their fair share and some are not,” Parker says. The Town Council instructed Parker to begin lease negotiations since the majority have expired or will expire soon. She says Town staff will have to review several elements of the agreements before lease negotiations can begin. She says the new policy will help determine the value of the space, based on several factors including square footage, nonprofit status, services provided and maintenance requirements. “We will be looking at several elements of the public leases—there is no science to them,” Parkers says. Lease negotiations may take a while because each lease has to be reviewed, meetings have to take place and then the Town Council will have to approve the agreements, Parker says. “It will be a time-consuming task,” Parker says of the process. Pressure to make the buildings more efficient and more environmentally friendly is also of concern, according to Parker, but funding remains an issue. “How do you pay for that when you can’t afford to maintain them already?” Parker says. Parker says the Town’s goal is to have each building become self-sustaining. “Each building should be able to keep the lights on and paint on the walls,” Parker says. However, some tenants are concerned that significant rent increases would negatively impact their ability to provide services. Marilyn Krill, administrative director of the Crested Butte Music Festival, says that although it is appropriate for the Town to consider increasing rent, the Music Festival would have to conduct additional fundraising and pursue creative financing to cover the cost. “Any increase on the expenditures side would impact our programs,” Krill says. The Music Festival pays $1,500 annually for rent, which includes insurance for the building, trash and all utilities. Crested Butte Music Theatre managing director Elizabeth Bond says rent rates have been very fair over the years, and an updated agreement would be beneficial for the renters and the town. Bond says since the theater receives grant money from the Town, it seems increasing the rent would only counteract the donation. However, the theatre company has went on record that they agree their rent should double. “I don’t think we are a significant enough entity that we would have an impact on their revenue sources,” Bond says, noting the theater currently rents space in the Old Town Hall on Elk Avenue for $500 a year. KBUT manager Dave Clayton says the impact would depend on the amount of the rent increase. The Town charges KBUT $1,000 per year to rent space in the Marshal’s building on Maroon Street. “It could have a substantial impact on our budget if it was a significant increase,” Clayton says. Parker could not say definitively when the policy will be presented to the Town Council or when lease negotiations would take place.